If your concrete floors are lacking in luster and appearance, the impact on your customers may be affecting your bottom line! Many businesses rely on a high-quality shine to help enforce the quality of their brand, and a dull, listless floor system may leave potential buyers uninspired. Instead of running the risk of providing a forgetful experience, it can prove beneficial to invest in a high-quality floor finish that provides the highest levels of protection and aesthetic beauty. For years, businesses and new builds in need of epoxy flooring services in Orlando have relied on PPI Flooring for the best results. Our industrial flooring contractors have the equipment and training needed to provide high-quality outcomes for clients across a variety of industries. Regardless of your design or material demands, we’re here and happy to help. Epoxy metallic flooring is one option that has become a popular choice for businesses of all types. Today, we’ll highlight why you should consider this floor coating for your renovations, addition, or new build. While epoxy floor coatings rely on the same assortment of high-quality materials, metallic epoxy options include the use of metallic pigments. When mixed in, these shiny specks distributed beautifully across the surface of your concrete flooring. Once the epoxy hardens, the metal within will be locked in place, delivering a fine texture and rich finish that can resemble marble and stone without the high price tags. 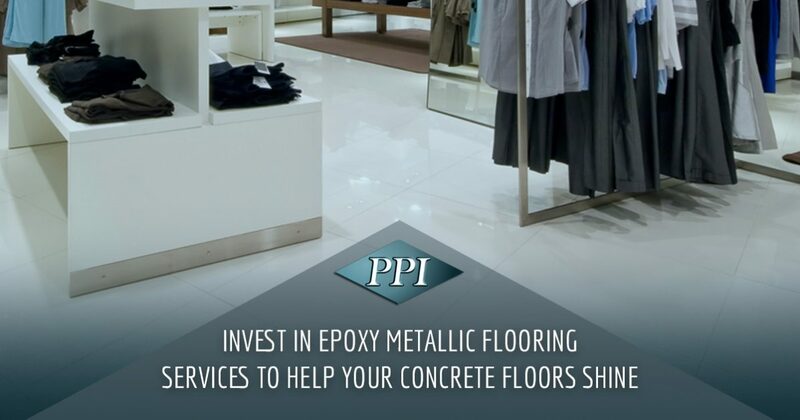 PPI Flooring is here to provide long-lasting and cost-effective results for every establishment, and our experience and modern materials help to ensure you are satisfied with the results on the first try. Contact us today to learn more about our epoxy flooring services for Orlando customers! From private hallways to showroom floors, metallic epoxy coats are rated to be used for a variety of surfaces in numerous applications. Lobby entrances, patios, entertaining rooms, hallways, basements, garages, and more are all ideal for epoxy floor coatings, and adding a metallic finish can help to enhance the beauty and luxury of your building. 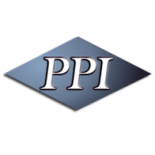 PPI Flooring is able to personalize our services and materials to deliver an ideal fit, conforming to industry regulations of all types. Our Orlando-based flooring company is experienced in these industries and more, and we will help you navigate the best solutions for your building plans. Be sure to ask us about metallic pigments and how they can enhance the look and design of your concrete floors! As a business owner, you likely are always on the lookout for cost-effective investments that can provide considerable value for your operations. A nicely polished concrete floor may deliver a high-quality shine, but why not enhance the look with metallic pigments? Stunning Colors – From subtle grays to rich golds and greens, businesses have a wide range of color options to choose from to perfectly fit their style and design. Your concrete flooring finish is made to last, so be mindful of how timeless your color choice will be in relativity to your business’ branding. Rich Appearances – By adding metallic specks, your epoxy floors will highlight a look of depth and unique quality. Every application is different, ensuring there is no floor system out there is identical to yours. This cost-effective epoxy floor coating service also helps to increase the property’s worth! Complete Peace of Mind – When installed by professionals, your metallic epoxy flooring will deliver complete protection from scratches, abrasions, stains, leaks, and more. The result is a long-lasting slab that is free of premature wear and tear. Long-Lasting Results – Proper maintenance can help to protect the flawless look of your floors for years to come, resisting high levels of wear and tear in the process. Minimal Maintenance – The complete protection offered by this smooth, seamless surface helps to minimize any cleaning demands. By staying on top of your regular cleaning, you will be able to benefit from years of quality appearances. Self-Leveling Perfection – PPI Flooring’s team will rely on self-leveling materials to help create a smooth, seamless surface that is free of imperfections. This helps to increase your floor system’s longevity. Many businesses benefit from the rich aesthetics and sure protection of epoxy metallic flooring finishes. This simple process delivers amazing results, providing your property with luxury outcomes that are as beneficial as they are beautiful. If you’re interested in learning more, be sure to contact our epoxy flooring experts in Orlando to learn about our complete floor coating services!